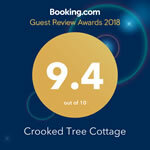 Renovated in 2016/2017, Crooked Tree consists of a 3 room cottage and 3 Studio suites. 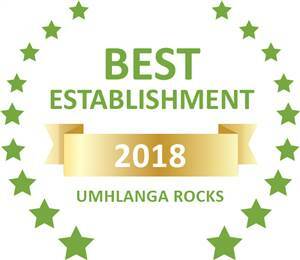 All are bookable as B&B, Bed Only or Self Catering. The Cottage accommodates 6-7 guests, Two Studio suites accommodate 2 guests per suite and the remaining Studio can accommodate to 2 - 3 adults or 2 adults and 2 small children. Crooked Tree Cottage has a well-equipped kitchen and a spacious open plan dining and lounge area with a sea-facing balcony. There is a deck area with seating at the entrance to the cottage - barbecue facilities available on request for self catering guests. Room 1: King size/ twin bed, en suite shower, sea facing. Room 2: King size/ twin bed, en suite shower, sea facing. Room 3: Double bed, en suite shower, private entrance. - enjoy views over the swimming pool and out to sea. Booking on a bed and breakfast basis. Crooked Tree offers yummy Full English breakfasts or 2 huge omelettes - one meaty and one veggie. Vegan options are now available. Fruit and cereals are served with all breakfasts. Wake up to the smell of freshly brewed coffee in the morning!